The Global Water Partnership-Caribbean (GWP-C) produced a series of information products to further cooperation in Integrated Water Resources Management (IWRM) among various stakeholders across the region. The information products were produced under GWP-C’s Water, Climate and Development Programme (WACDEP). A Database of Regional IWRM Expertise – This databases showcases where specialised water resources expertise exists in the region. A Database of 40 IWRM Projects – This database highlights project outputs, lessons learnt, as well as, opportunities and options to build on the projects. Sustainability Report – An in-depth review of a subset of these initiatives examining impacts, challenges, successes and lessons for the replication and upscaling of the initiatives. 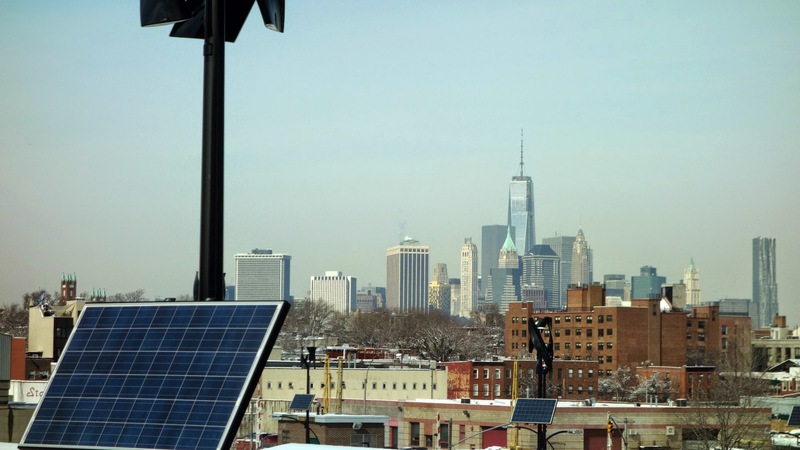 New York wants to get serious about solar power. The state has a goal to cut its greenhouse gas emissions 80 percent below 1990 levels by 2050, and it’s already among the nation’s solar leaders. New York ranks ninth overall for total installed solar, and in 2013 alone it added enough to power more than 10,000 homes. While that’s great news for solar companies and environmentalists, it’s a bit of a problem for electric utilities. Until recently, the business model of electric companies hadn’t changed much since it was created a century ago. (The country’s first electric grid was strung up by Thomas Edison in Manhattan’s Lower East Side in the 1880s, and some parts of it continued to operate into the 2000s.) Utilities have depended on a steady growth in demand to stay ahead of the massive investments required to build power plants and the electric grid. But now, that tradition is crumbling — thanks to the crazy growth of rooftop solar and other alternative energy sources and some big advances in energy efficiency that have caused the overall demand for electricity to stop growing. Meanwhile, utilities in New York are also required to buy the excess power from solar buildings that produce more than they need — a policy called “net metering”. But here’s the thing: Even the most ardent climate hawks agree that we can’t afford for utilities to go out of business altogether. Someone needs to maintain and manage the grid. Hardly any solar homes are actually “off the grid,” since they still depend on power lines to soak up their excess electricity during sunny afternoons and deliver power at night. In fact, net metering is a key factor in making solar economically viable to homeowners. The question of how to aggressively slash carbon emissions without completely undermining the power sector (and simultaneously raising the risk of blackouts and skyrocketing electric bills) is one of the big existential questions that climate-savvy lawmakers are now trying to figure out. And last week in New York, they took a huge step forward. “By restricting utilities from owning local power generation and other energy resources, customers will benefit from a more competitive market, with utilities working and partnering with other companies and service providers,” the commission said in a statement. The move is part of a larger package of energy reforms in the state, aimed at setting up the kind of futuristic power system that experts think will be needed to combat global warming. The first step came in 2007, when the state adopted “decoupling,” a market design in which a utility’s revenue is based not on how much power it sells, but on how many customers it serves. (Remember that in most states utilities have their income stream heavily regulated by the state in exchange for having a monopoly.) That change removed the incentive for utilities to actively block rooftop solar and energy-saving technology, because lost sales no longer translate to lost income. But because utilities could still make money by recouping the cost of big infrastructure projects through increases to their customers’ bills, they had an incentive to build expensive stuff like power plants and big transmission hubs even if demand could be better met with efficiency and renewables. Now, under New York’s most recent reform, a utility’s revenue will instead be based on how efficiently and effectively it distributes power, so-called “performance-based rates.” This, finally, provides the incentive utilities need to make decisions that jibe with the state’s climate goals, because it will be to their advantage to make use of distributed energy systems. But there’s a catch, one that had clean energy advocates in the state worried. If utilities were allowed to buy their own solar systems, they would be able to leverage their government-granted monopoly to muscle-out smaller companies. This could limit consumer options, drive up prices, and stifle innovation. That, in turn, could put a freeze on consumers’ interest in solar and ultimately slow down the rate at which it is adopted. But if small companies are allowed in, then the energy market starts to look more like markets for normal goods, where customer choice drives technological advances and pushes down prices. 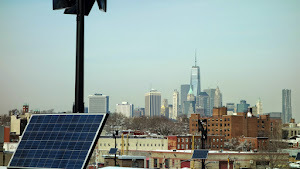 “New York’s approach to limit utility ownership balances the desire for more solar with the desire to have competitive markets that we expect to continue to bring down the costs of solar,” said Anne Reynolds, director of the Alliance for Clean Energy New York. The upshot is that solar in New York will be allowed to thrive without being squeezed out by incumbent giants like Con Edison and National Grid. The policy puts New York on track for a new way of doing business that many energy wonks now see as inevitable. In the past, the role of electric utilities was to generate power at a few central hubs and bring it to your house; in the near future, their role will be to facilitate the flow of power between countless independent systems. So far, the response from utilities has been receptive; a spokesperson for Con Ed said the company looks forward to developing details for how the order will move forward. The change in New York could become a model for other states, Reynolds said. Regulators in Hawaii are already considering a similar policy. The Third United Nations World Conference on Disaster Risk Reduction will be held from March 14 to 18, 2015 in Sendai City, Miyagi Prefecture, Japan. Thousands of participants are expected to attend the event, which is being held under the theme "building the resilience of nations and communities to disasters". 23 February 2015: The UN Economic Commission for Latin America and the Caribbean (ECLAC), Inter-American Development Bank (IDB) and UN Development Programme (UNDP) have formed a partnership in support of the Sustainable Energy for All (SE4ALL) initiative in the Americas. The partners intend to create a joint work plan, capitalizing on the unique strengths of each organization to enable on-the-ground implementation of the SE4ALL goals. Meeting in Washington DC, US, on 23 February 2015, the three institutions discussed undertaking cooperative activities such as: creating knowledge products; helping to plan for universal energy access; coordinating with national and international partners; monitoring progress in the region; policy analysis; and improved project preparation and finance access. According to the partners, increasing their coordination will provide attractive investment opportunities to further speed the transition to universal sustainable energy access. As fossil fuel reserves shrink, as air pollution worsens, and as concerns about climate instability cast a shadow over the future of coal, oil, and natural gas, a new world energy economy is emerging. The old economy, fueled largely by coal and oil, is being replaced with one powered by solar and wind energy. We can see the transition unfolding. In the U.S. Midwest, Iowa and South Dakota are generating 26 percent of their electricity from wind farms. Denmark generates 34 percent of its electricity from wind. Portugal and Spain are above 20 percent. In China, electricity from wind farms now exceeds that from nuclear power plants. And in Australia, 15 percent of homes draw energy from the sun. With solar and wind costs falling fast, their spread is accelerating. 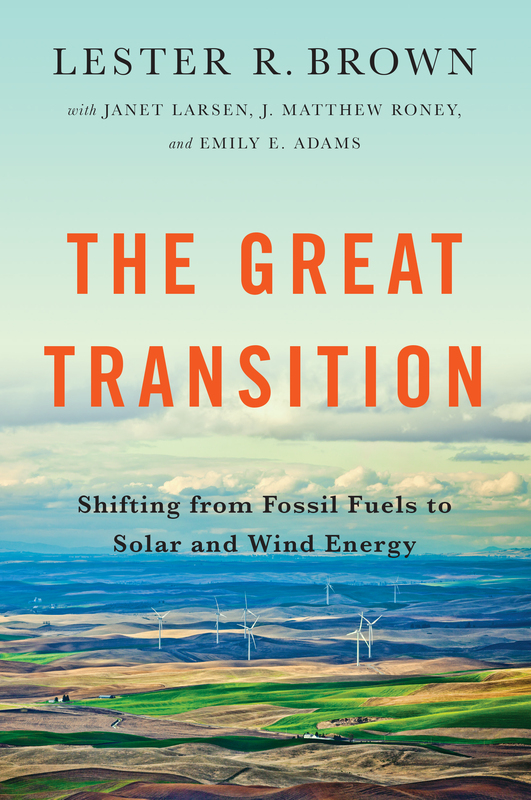 In The Great Transition, Lester R. Brown and his colleagues explain the environmental and economic wisdom of moving to solar and wind energy and shows how fast change is coming.